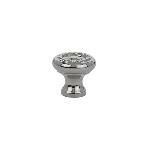 Emtek 86013 Traditional Providence Knob 1 in. 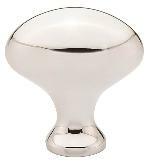 Emtek 86014 Traditional Providence Knob 1-1/4 in. Emtek 86015 Traditional Egg Knob 1 in. Emtek 86016 Traditional Egg Knob 1-1/4 in. Emtek 86027 Traditional Providence Knob 1-3/4 in. Emtek 86037 Arts & Crafts Round Dimpled Knob 1-1/4 in. 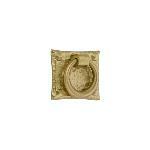 Emtek 86038 Arts & Crafts Square Dimpled Knob 1 in. Emtek 86039 Arts & Crafts Square Dimpled Knob 1-1/4 in. Emtek 86040 Arts & Crafts Hammered Ring Pull 1-3/4 in. Emtek 86041 Arts & Crafts Hammered Oval Pull 3 in. 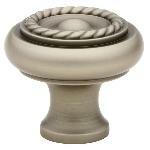 Emtek 86112 Traditional Rope Knob 1 in. Emtek 86113 Traditional Rope Knob 1-1/4 in. Emtek 86114 Traditional Waverly Knob 1 in. Emtek 86115 Traditional Waverly Knob 1-1/4 in. Emtek 86119 Traditional Hexagon Knob 1-1/8 in. Emtek 86120 Traditional Hexagon Knob 1-3/8 in. Emtek 86121 Traditional Melon Knob 1 in. Emtek 86122 Traditional Melon Knob 1-1/4 in. Emtek 86124 Traditional Egg Knob 1-3/4 in. Emtek 86201 Traditional Waverly Knob 1-3/4 in. Emtek 86202 Traditional Rope Knob 1-3/4 in. Emtek 86203 Traditional Melon Knob 1-3/4 in. Emtek 86204 Traditional Hexagon Knob 1-7/8 in. Emtek 86212 Arts & Crafts Square Dimpled Knob 1-3/4 in. Emtek 86213 Arts & Crafts Round Dimpled Knob 1-3/4 in. Emtek 86277 Ribbon & Reed Knob 1-1/4 in. Emtek 86278 Ribbon & Reed Knob 1-3/4 in. Emtek 86279 Ribbon & Reed Finger Knob 1-3/4 in. Emtek 86280 Ribbon & Reed Finger Knob 3 in. Emtek 86295 Geometric Square Knob 1-1/4 in. Emtek 86296 Geometric Square Knob 1-5/8 in. Emtek 86304 Geometric Oval Knob 1-1/4 in. Emtek 86305 Geometric Oval Knob 1-1/2 in. Emtek 86306 Geometric Oval Knob 1-3/4 in. Emtek 86421 Art Deco Knob 1-1/4 in. Emtek 86432 Art Deco Newport Knob 1-1/4 in. Emtek 86433 Art Deco Newport Knob 1-5/8 in. Emtek 86611 Traditional Norwich Knob 1-5/8 in.